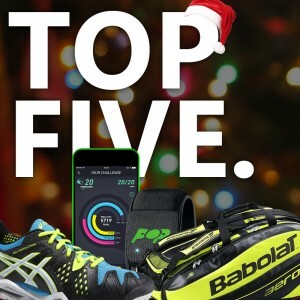 All the latest tennis racket and tennis equipment news from around the world. The Legendary Wilson Pro Staff Tennis Rackets Are Back! The Pro Staff is back! Why should you care? Well this legendary tennis racket has been used by some of the best tennis players the world has ever seen, and for 2012 the Wilson Pro Staff makes it’s return with arguably the greatest tennis player of all time. Novak Djokovic becomes HEAD’s first world No 1 player since Andre Agassi, and captured his first title at the All England Lawn Tennis Club after beating Rafael Nadal. Andy Roddick Shows Off His New Tennis Trainers Just In Time For Wimbledon! Novak Djokovic has extended his unbeaten run to 39 with victory over Rafeal Nadal in the final of the Rome Masters. Just what is the key to his new found success?